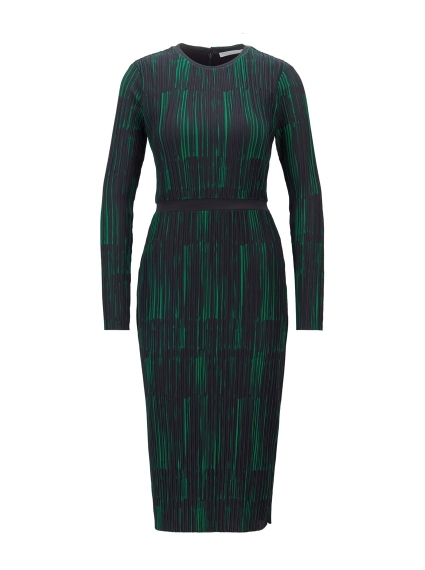 A contemporary dress by Hugo Boss, crafted in fine stretch jersey with a collection-themed print and irregular plissé detailing. Styled with a crew neckline and long sleeves, this feminine design is cut to a slim fit and features a contrast band that flatteringly accentuates the waist. Open laser-cut edges enhance the modern appeal of this distinctive dress.